Rev. 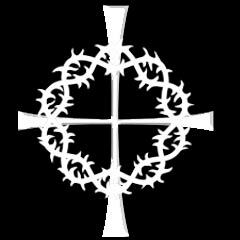 Thomas J. Pisors, CSV, died April 25, 2009 at Holy Family Nursing and Rehabilitation Center in Des Plaines, IL. He was 76. Fr. Pisors was born Jan. 7, 1933 in Chicago. He entered the Clerics of St. Viator novitiate in Sept. 1951, and professed his first vows on Sept. 8, 1952 and his perpetual vows on Sept. 8, 1955. He was ordained to the priesthood by Bishop Cletus F. O’Donnell, on May 27, 1961 at St. Viator Church in Chicago. Fr. Pisors was a graduate of Fournier Institute in Lemont, IL. He held a bachelor’s degree in physics from Loyola University in Chicago and a master’s degree in physics from Northwestern University. As a lifelong learner, he did post graduate work in at least 15 other universities. 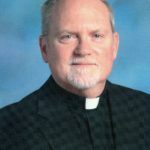 He taught for one year at Spalding Institute in Peoria and for one year at Saint Viator High School in Arlington Heights, before beginning his long career in Springfield, IL. For 44 years, Fr. Pisors devoted his life to the students at Griffin and Sacred Heart-Griffin high schools, where he taught physics and mathematics from 1962-2006. 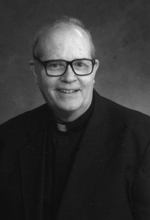 During those years, he directed many retreats, taught adult education courses in sacred scripture and was spiritual director for many, including several members of the Dominican Sisters of Springfield. Visitation for Fr. Pisors took place April 30 at Lauterburg & Oehler Funeral Home in Arlington Heights, with a prayer service at 7 pm. A Mass of Christian Burial was celebrated May 1 at St. James Church in Arlington Heights. His brother, the Rev. John Pisors, CSV, stationed in Colombia for the past 42 years, preached the homily. Burial took place in the Viatorian Community plot at Queen of Heaven Cemetery in Hillside, IL. Services also took place in Springfield, including a memorial Mass on May 7 at St. Joseph Church, as well as a farewell Mass and celebration on June 4 at Dominican Hall Auditorium in Sacred Heart-Griffin High School.